This guide was written for OS X 10.9. For an updated version of this guide click here. There are plenty of reasons you will want to encrypt files on your personal computer. There is a lot of software available that can do this for you, but I'm going to show you how to do it using tools that come preinstalled on OS X. 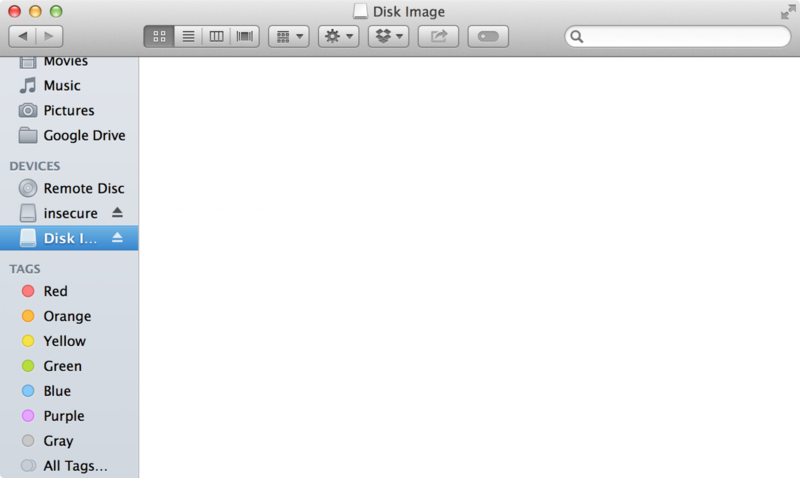 Hit command + space bar to open Spotlight, and search for "Disk Utility". Once you find it, select it and hit enter. On the row of icons, click the icon that says "New Image". 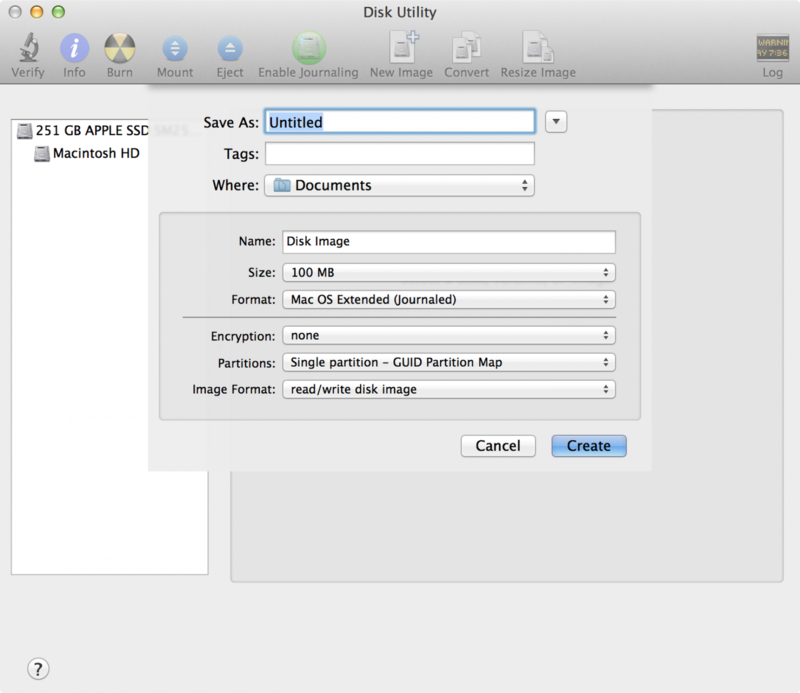 This step will allow you to create a new disk image. Think of it like a virtual USB thumb drive. Once you create it you will be able to mount it (plug it in) and unmount (eject) it, but it will be stored as a "dmg" (disk image) file. Under "Save As" put the file name that you would like the disk image to be called. If you type "secure" the file will be called "secure.dmg". By default the disk image will be saved in your Documents folder. You are free to change this to another directory of your choice. Under the "Name" input, type whatever you would like the disk image to be called once its mounted. This will help you to identify it in Finder. For simplicity, I recommend calling it the same thing that you call the disk image file. Under "Encryption" change the option from "none" to either of the options - 128 or 256-bit AES. Once you click create you will be prompted to give and verify a password. Use this guide to learn how to create a secure password. 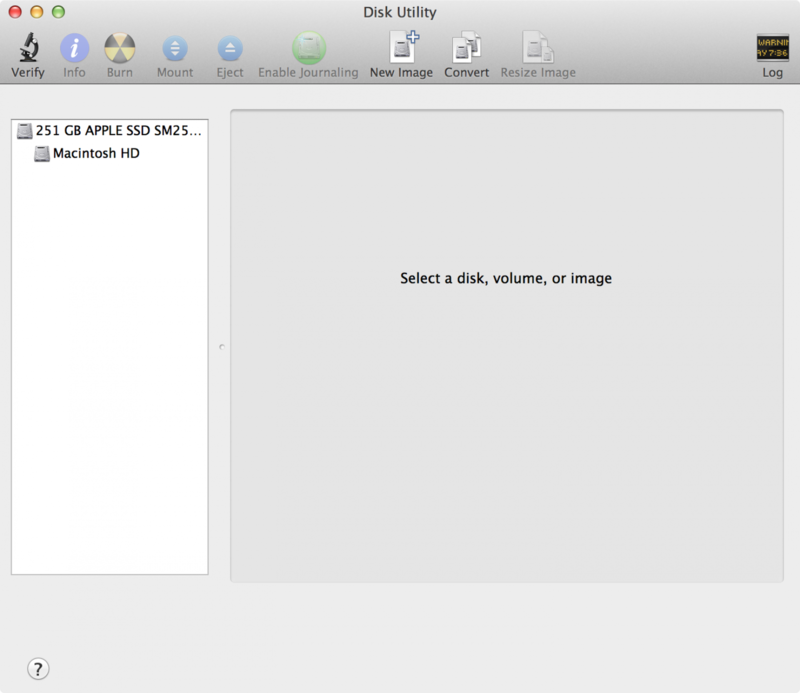 This will effectively create your new encrypted disk image. Save this password in two different locations. Do not risk losing the password because of disk failure or some other disaster because you WILL NOT be able to get access to this encrypted disk image. Just like a USB thumb drive you will need to "plug it in" before you can save files on it. To do this simply navigate to the directory where it is saved. By default it will be located in your Documents folder. Double click on the disk image file, and enter your password when prompted. Finder will open and the encrypted disk will be selected. You can start dropping files into this directory. While the disk image is mounted anyone will have access to these files. Once you are finished adding files you will want to secure it by simply ejecting the disk image. This means that anyone who wants to mount this disk image and access the files will need to enter the password you've chosen. Anyone who finds the dmg file will be out of luck because the entire thing will be encrypted.